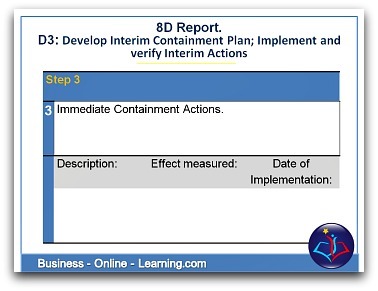 Here Is How To Plan Containment Measures to Your 8D Problem! 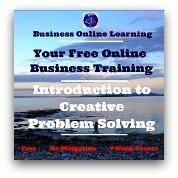 Here are the other steps in the "8D Problem Solving Process" free Business Training. Aim: To protect the customer from the effect of the problem through immediate measures and have these measures agreed to by the customer. Organize temporary, interim or containment measures for the control of damage or liability and to check their effectiveness. Ensure constant checking of the effectiveness of these measures and organize further measures if deemed necessary. Are all damaged or failed parts accounted for and the delivery to any other customers prevented? 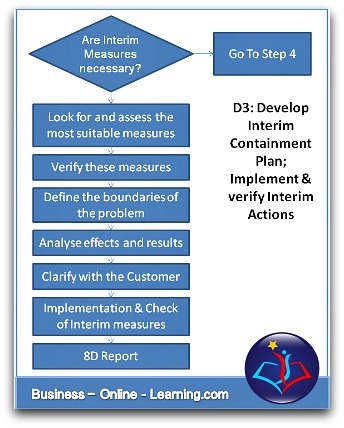 Is the best alternative – as a containment measure – chosen after a proper decision analysis? Is the choice of immediate measures based on facts and figures? Do all concerned parties agree with these measures? Has the customer agreed to this plan of action? Has there been an analysis of potential problems which list the potential problems, possible causes and preventive measures? Has a detailed plan for the introduction of the immediate action items been laid out? Has the effectiveness of these measures been ensured? How will this effectiveness be checked? Are the “Immediate Measures” documented and known to all parties involved? Finished The Checklist? Now Complete The Form Section D3. The aim for this step was to take the definition of the problem and decide on effective actions that will protect your customer. These containment measures must stop all damage going further to the customer and must therefore receive their approval. As mentioned in many other steps, please be sure to document this section well. There can be legal implications when damage continues or the risk continues. Your Company will be liable for these. At the very least the customer will leave your business with his or her contracts. Reputation regain is a lot harder than Reputation Build. Remember too that these measures are only meant to be temporary in nature until a proper resolution is found. It would be wise to frequently check the effectiveness of these containment actions to ensure that they are working. Go To Top of 8D Problem Page. Containment Measures.